EKS stands for the Energy Concept of Slovenia. It’s a document that describes the concept of sustainable, reliable and competitive energy supply in the future and supports it with data projections. 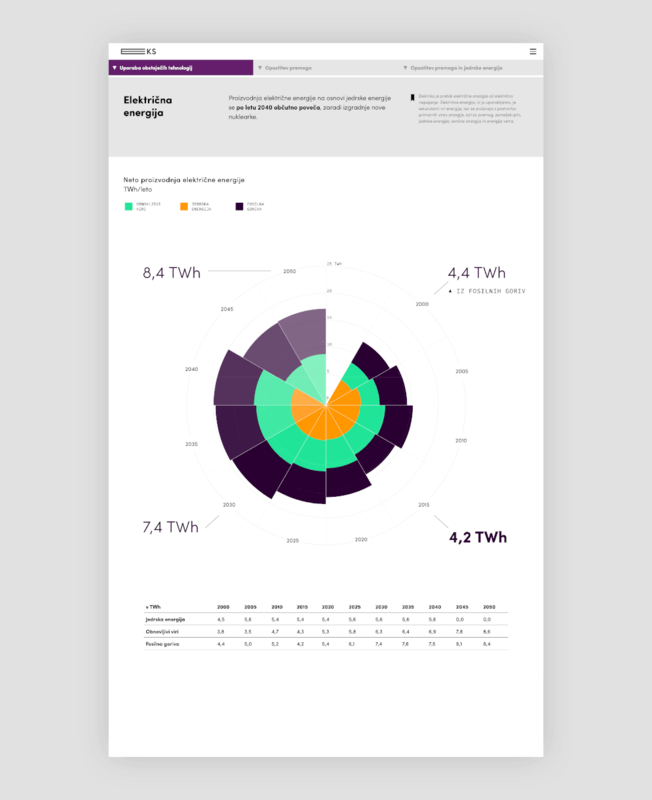 We worked closely with the Ministry of Infrastructure of the Republic of Slovenia to create a website which translates these complex projections into simple, easily understandable energy concepts.